Everyone knows that the first rule of managing inventory shrink is being able to measure it. This means distinguishing between known and unknown loss and between malicious and non-malicious reasons for stock not being where it should be. In an industry where loss prevention practitioners are increasingly more commercially minded, it means solving the conundrum of stock availability versus non-availability in a world of perpetual inventory. Add in another distinguishing layer of retail stock management. Between the physical and online space (the so-called bricks versus clicks), the ever-diminishing timelines between placing an order and it arriving at the customer’s specified location (the home, the office, or another retailer for click and collect), and the possibilities of pinpointing stock on its return journey (the so-called reverse logistics model), you have all the ingredients for a parallel universe where nothing is quite what it seems. Where an item is in the supply chain at any time—en route from the manufacturer, in the warehouse or the distribution center (DC) for picking, at the back of the store, or on the shelf hidden in plain view—is only definitively known at one or two key points in the year: the annual or bi-annual stock count. At those times, the business holds its collective breath while stores and warehouses are put into a form of lockdown while internal staff or external stocktakers count every item in order to determine stock file accuracy and test the rigor of internal systems and compliance. Stocktaking or “inventory checking” is the physical verification of the quantities and condition of items held in an inventory or a warehouse. It is, for the purposes of the loss prevention team, the source of stock discrepancy information and the starting point for investigations. Stocktaking may be performed as an intensive, annual, end-of-fiscal-year procedure or may be done continuously by means of a cycle count. An annual end-of-fiscal-year stock count is typically undertaken for use in a company’s financial statements. It is often done in the presence of third-party auditors who are trying to reconcile the financial statements with a snapshot of stock accuracy. What kind of stocktaking it is depends very much upon what is being counted. Periodic counting is usually undertaken for regular, inexpensive items. The term “periodic” may refer to an annual stock count, but more likely refers to more frequent, half yearly, seasonal, quarterly, monthly, bi-monthly, or daily counts. For expensive items, a shorter period between stock counts is preferred. The regularity of the count will also dictate the methodology and technology used to carry it out. Some large mass-merchandise stores and DC counts require legions of “counters” going through every item physically, adding up the stock line by line, shelf by shelf. Or, in some instances, there is a mixture of outsourced stocktakers supervising on-staff counters to help manage costs. Another approach for high-value, branded items, particularly in the apparel sector, is more frequent counts using RFID technology that can achieve in hours what physical counts achieve in days. 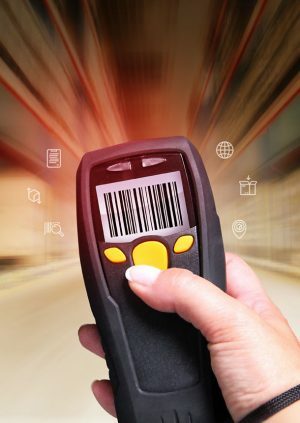 They have the advantage of requiring no special skills as an RFID “wand” device is waved in front of a display to instantaneously measure quantity, size, range, and availability while its system connectivity allows it to automatically replenish items so that they are never out-of-stock (OOS). Every sector has a different spin on the science of stocktaking, as the retail stock management discipline is nuanced. Fashion is different from food, and cans of baked beans cannot be reconciled using RFID as the metal currently represents a form of kryptonite to the RF technology. That is why many shoplifters come armed with foil-lined bags to defeat EAS gates. In addition, it is not all about simply counting stock and walking away. The role of the stocktaker is increasingly one of consultant, particularly in the restaurant industry, where experienced personnel are few and far between because of high turnover rates. David Bailey of mrs solutions said, “Twenty years ago, managers were coming out of catering college with qualifications and experience. Not anymore. We are now working with much younger personnel, and we fill the experience vacuum as consultants. Our job is to spend time with those managers and see where there is surplus and poor sales and try and reconcile the two. It is more like a business review. We look at the stock, but we also look at the training audit and try and make those managers more business savvy,” he explained. Bailey has dealt with a wide range of issues, from excessive till voids to managers forgetting to add tax to the bill. Over the last two decades, he has seen many scams and much naiveté, which is a far cry from malicious till dipping. “I find that they all want to be Jamie Oliver, but until they fully understand the mechanics of the business, they cannot aspire to that status. My job is to help them to help themselves and build their experience,” said Bailey. Whereas a cucumber is different from a package of chips, and an optic measure of Scotch varies from a gas-pressured pint of lager—even the gas can impact the measures drawn—varieties in other, non-food sectors are few and far between. In this respect, stocktaking should technically be more straightforward. In fashion, for example, apparel is apparel with the only varieties being the sizes and colors. This makes it easier to map the journey of a jumper, the travelogue of trousers, and where footwear may have wandered, particularly with the introduction of RFID technology into the equation. As discussed in previous articles in LP Magazine Europe, RFID has become the game changer, particularly as the cost of the tags has come down. Now many apparel retailers have embraced the end-to-end supply-chain value of RFID because it allows store staff to count stock monthly, weekly, daily, and even hourly, so there is always a perspective on where stock is. OCS Retail Support [now Retail & Asset Solutions] is one of a growing number of companies offering the full suite of solutions from on-the-ground stock counters to rental of do-it-yourself (DIY) RFID handheld devices, an approach that marries up with many retailers’ demands in an age of global supply-inventory management and the need for speed. Although RFID devices in the hands of junior store staff saves time and money, one of the age-old issues of self-counting is the issue of collusion—marking your own homework, so to speak. Although the technology is agnostic in terms of any malicious intent—it will accurately measure everything in its range and frequency—there is always the fear of independence. Here, the mobilization of manpower from outside of the organization gets around any potential underhand practices that may have been going on in certain “hot” stores (those with poor stock records and lax management practices). Also, as mentioned earlier, RFID works well in the fashion sector, but because of the metal issue, general merchandise—supermarket cans of beans or DIY paint tins, for example—continue to fall outside of its reach until a metal-on-RF antidote is discovered. Until that Eureka moment, retailers will have to use a hybrid of retail stock management approaches, particularly for supermarkets, home improvement stores, and DC counts, where they are covering acres of stock rather than a few store shelves of trousers. Another big player in the independent stocktaking space is Orridge, which describes itself as “the company that counts.” Sales Director Peter Davies said growth in his market is both geographical and in the increasing desire for intelligence on where inventory is in real time. Experts in the pharmacy sector as well as general retail and supply chain, Orridge is rapidly expanding in Europe, particularly Belgium and Germany as many UK retailers expand their footprints increasing the need for a global stock awareness—from Gateshead to Ghent. Successful stocktaking is about both people and technology. Not everyone is at full RFID capability for reasons outlined in the previous paragraphs, but many businesses are operating hybrid stocktaking solutions—a form of RFID-lite technology. As a result, retailers today need to know more than they have ever known before. Retailers, for example, have more counts to support sales promotions, such as spring, when everyone is looking to do DIY, or back-to-school in autumn. Stock accuracy means that you can support all of this seasonal activity better and with confidence. In the world of omni-channel, it is all about minimizing the disappointment of the customer— whether it is grocery, DIY-hybrid businesses, or multiple department stores. “Today’s stock counters have to be able to offer solutions for all to reflect where a business is financially and technologically. That means it is not just RFID, but advances in other devices and software,” said Finch. He also believes that in an era of artificial intelligence more retailers will move towards technological hybrid models of counting. “We could soon see self-scanner robots moving around stores at night doing a count rather than sitting idle,” he added. This latest idea is not so much a futuristic pipe dream, but could become a reality because of the relentless onslaught of economic pressures on retail businesses. The introduction of the incremental minimum wage in the UK, for example, has put businesses under the spotlight in terms of challenges to reduce manpower. Could such robots, and indeed the increasing move towards RFID, be taking stock of the stocktakers themselves? This article was originally published in LP Magazine Europe in 2017. This excerpt was updated October 29, 2018.